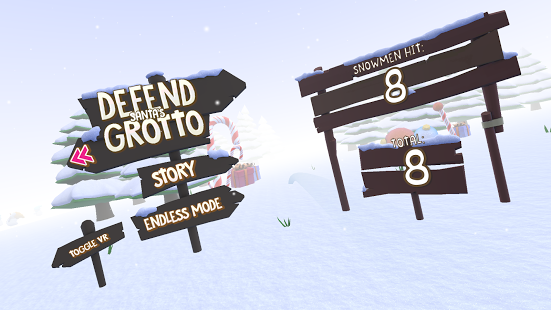 Defend Santa’s Grotto this Christmas from hordes of hungry snowmen! A Christmas treat from the Virtual Reality Specialists at Rewind FX. Play in either single screen mode or the new ‘VR Mode’ which is suitable for Google Cardboard headsets or similar. 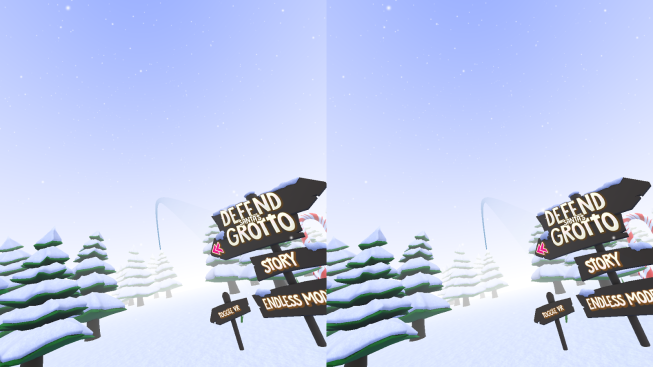 Defend Santa’s Grotto from the hordes of hungry snowmen, all intent on stealing your mince pies. 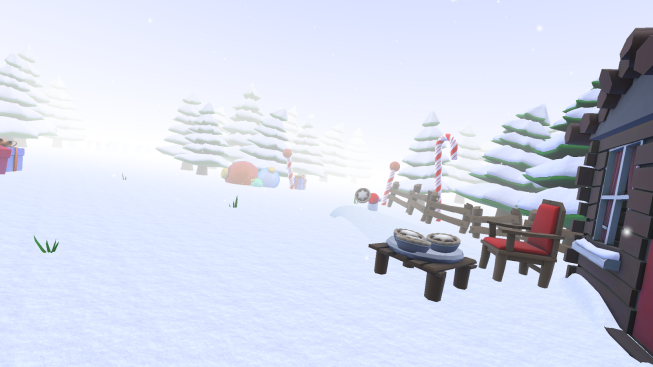 Keep them at bay with your snowballs, fired by tapping the screen or using the Google magnetic trigger to navigate through the menus and get rid of those pesky little snowman! Choose between ‘Story mode’ where you will face 3 waves of snowmen or ‘Endless mode’ where you will face relentless hordes of progressively harder snowman.